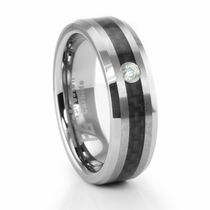 Looking for a wedding band that looks masculine and modern? 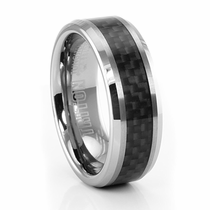 Check out these carbon fiber rings for men from Titanium Jewelry. 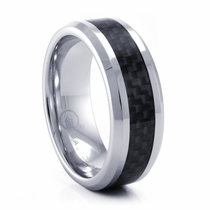 Each design is meticulously crafted with carbon fiber, one of the most durable materials in modern jewelry-making. 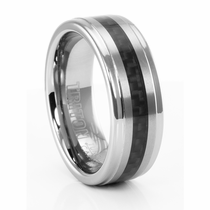 Many of these rings are combined with other strong metals, such as a carbon fiber titanium ring or carbon fiber tungsten ring. This is also a versatile look as well since you can get rings with an inlay, a diamond or even ...read more a colored stripe. That makes it easy to choose a carbon fiber ring or wedding band that sticks to your own unique style rather than getting a plain band that looks just like everyone else’s. 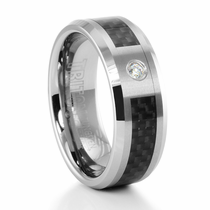 Customer rating for Carbon Fiber by Titanium Jewelry: 5 of 5 based on 29 customer reviews.